Did you know that jump roping for two minutes is the equivalent to running a 10-minute mile? ESD Lower School students do! 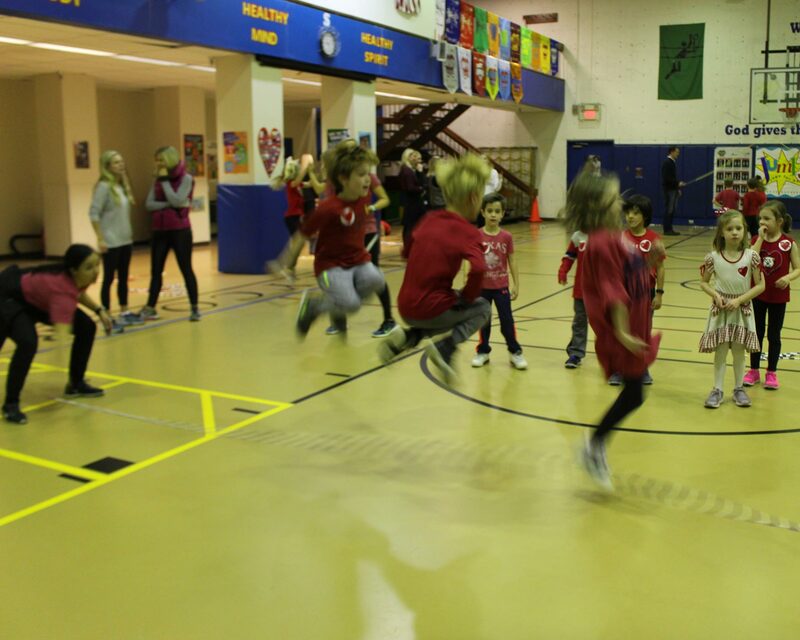 On Friday, February 1, ESD kindergarteners through fourth graders will be seeing red and having a ball at the Kids Heart Challenge (formerly known as Jump Rope for Heart). Dressed in red shirts, athletic pants or shorts, and tennis shoes, students will enjoy double-dutch and multi-person jump rope games, or opt for single person jump ropes. Parents are welcome to cheer on students, manage ropes, or jump themselves (schedule here). 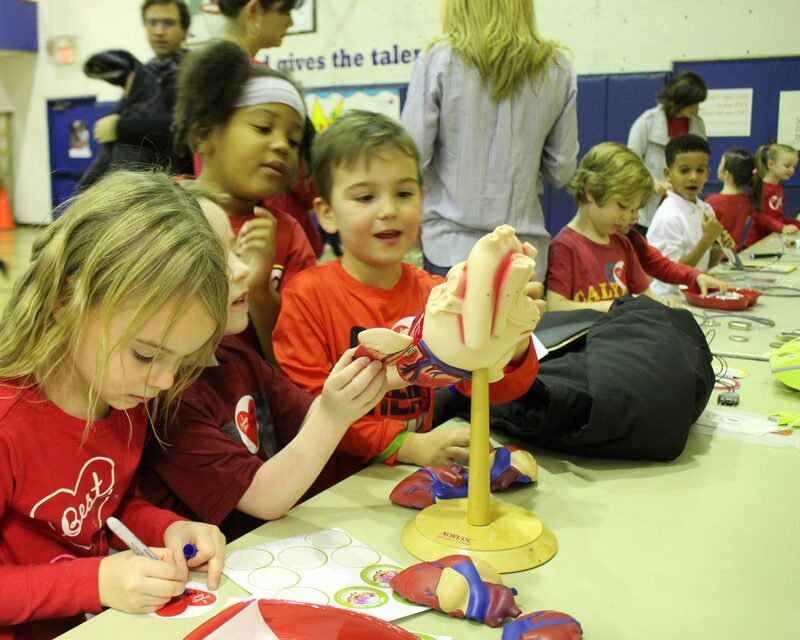 Leading up to the culminating jump rope celebration, students learn about heart health and the human body during gym. The goal of this program is to educate children of all ages about the dangers of heart disease and steps they can take, even at a young age, to prevent illness in themselves and those around them. This annual program was founded at ESD more than 30 years ago by retired PE instructor Kris Brockhagen. The Kids Heart Challenge is sponsored by The American Alliance for Health, Physical Education, Recreation and Dance (AAHPERD), the Texas Association for Health, Physical Education, Recreation and Dance (TAHPERD), and the American Heart Association. Interested families may make donations benefiting the American Heart Association under "The Episcopal School of Dallas" at heart.org/jump. If you have any questions about this year's event, please contact Dena Geier, Hollie Read, or Jenny Simms.